Facebook the number one social network with over 550 million users has a big problem with underage kids as members. Every day Facebook is deleting 20,000 accounts mostly of them from users which are under 13. Facebook is rated PG 13 but many kids under this age are signing up in Facebook by lying their age. When FB started, there was no problem with too young members. You had to have an email address from accepted universities. If you are not an extraordinary genius you might not be able to attend an university under the Age of 16 or 17. But everything changed when FB went viral. Underage members are for a private company not the biggest problem, because FB clearly says you need to be at least 13 and you have to provide your age. But there is no real control anybody can choose any age. But a company in public, like Facebook, can't afford to have news about 12 years old girls rapped through Facebook contact. And if Facebook is trying to go public then this could be a problem if Facebook does not get it under control. 20,000 members a day is 730,000 a year this is less than 0.2% of total members but this is only the members FB could identify as too you young. 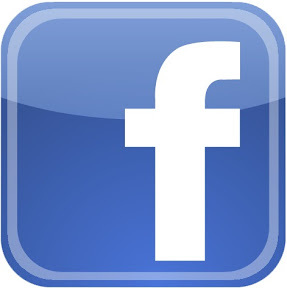 Mostly FB is looking at images, wall entries and friends to determine if a member could be too young. And there are as well FB members reporting fake or underage accounts. The question is how FB can get this under control. If FB would only be available in America then they could use the SSN for verification, but this would not work with other countries. And even if these countries would have a similar system it might not be allowed by law. Another method could be to use a credit card to sign up, but then FB would lose all members who are under 16 and members in countries where many people don't have credit cards. There could be an estimated lost of 100 million members. But it would help to reduce extremely sign ups of under 16 and people with multiple fake accounts (actually i am wondering how many of all accounts are fake anyway). Having the users credit card could Brin a lot of revenue. Once an user has stored his card information it is easier to buy FB credits and therefore we would spend more. I see this with the app store at Apple. I never bought so much crap under $10 than I did so far at Apple. And only because it is just too easy. Maybe Facebook is going to charge a membership fee which can only be paid with CC or Paypal. Imagine everybody would pay $3 a month. The would be a revenue of $18 billion a year. Another approach (my favorite) could be, to develop a Facebook for 13 and younger. Instead of deleting accounts or to denying kids access, they could still sign up, but would only see and read their age appropriate information. People can only befriend if they are family member or not older than 13. If parents have a FB account then they can monitor and control the content of the underage FB member. Or maybe new members can only access FB if they got recommended from somebody in FB who claims to be the parents or big brother. Either way we will soon see a change in FB. They must attack the underage issue before too many bad news will reach the air.